Zapzapmath is an ecosystem of games designed to help elementary school students learn and have fun at the same time. 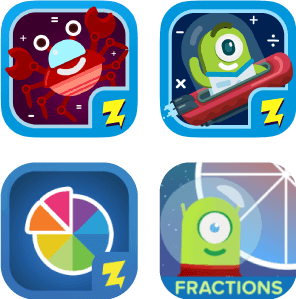 From Zap Zap Kindergarten Math to Zapzapmath: K-6 Math Games, they are well-received by educators worldwide and continue to expand globally. 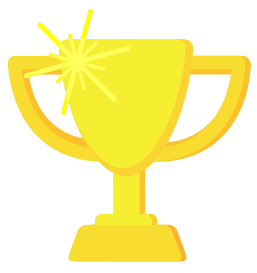 Begin for Parents' Choice Awards ・ The Parents' Choice Awards is an internationally recognized and respected icon of quality, trusted by educators and parents as an authority on pre-screening products for kids. Zapzapmath is now on a mission to bring a new, gamified way to math excellence to kids all over the world. Many educational methods have remained largely unchanged for generations, some of which have been proven to be ineffective for many young learners. Math in particular, is seen as one of the most challenging or 'boring' subjects for kids, but Zapzapmath aims to change the way kids think about math! This page contains the links to Zapzapmath's official statement, compiled press releases about Zapzapmath, as well as recent events and tradeshows that Zapzapmath has been a part of.